Fermi National Accelerator Lab is an enduring source of strength for the US contribution to scientific research world wide. What makes these algorithms so powerful is that they learn relationships between high-level concepts we wish to find in an image (faces) or sound wave (words) with sets of low-level patterns (lines, shapes, colors, textures, individual sounds), which represent them in the data. Furthermore, these low-level patterns and relationships do not have to be conceived of or hand-designed by humans, but instead are learned directly from examples of the data. Not having to come up with new patterns to find for each new problem is why deep neural networks have been able to advance the state of the art for so many different types of problems: from analyzing video for self-driving cars to assisting robots in learning how to manipulate objects. 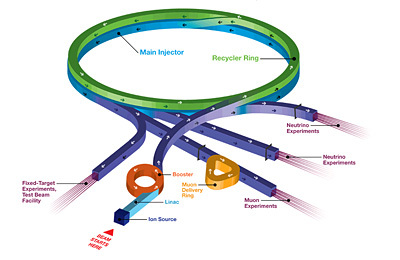 Track-like trajectories, made by particles such as a muon or proton, consist of a line with small curvature. Shower-like trajectories, produced by particles such as an electron or photon, are more complex topological features with many branching trajectories. This distinction is important because separating these type of topologies is known to be difficult for traditional algorithms. 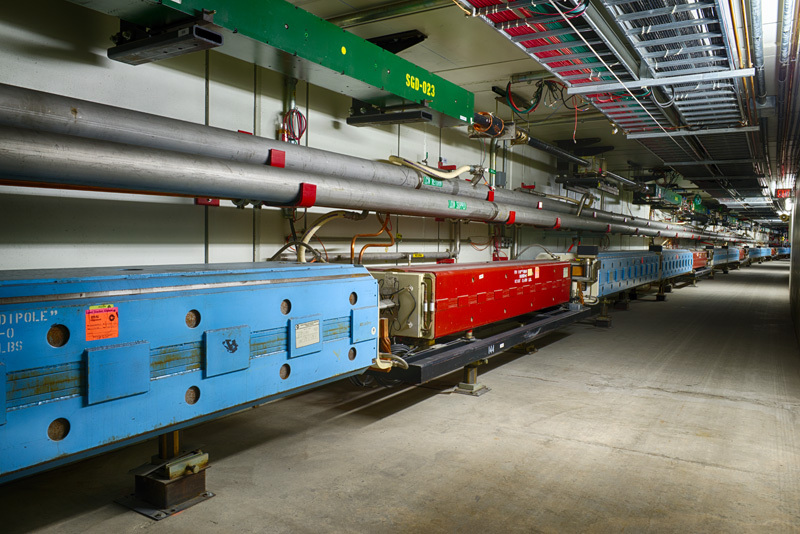 Not only that, shower-like shapes are produced when electrons and photons interact in the detector, and these two particles are often an important signal or background in physics analyses. However, these models are never perfect. 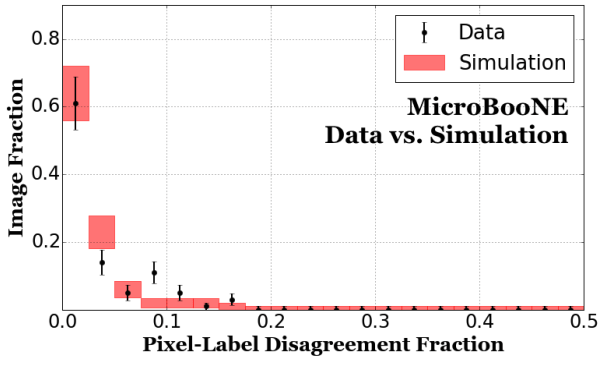 And so a big question was, “Is the simulated data close enough to the real data to properly train these neural networks?” The way MicroBooNE answered this question is by performing a Turing test that compares the performance of the network to that of a physicist. They demonstrated that the accuracy of the human was similar to the machine when labeling simulated data, for which an absolute accuracy can be defined. They then compared the labels for real data. Here the disagreement between labels was low, and similar between machine and human (See the top figure. See the figure below for an example of how a human and computer labeled the same data event.) In addition, a number of qualitative studies looked at the correlation between manipulations of the image and the label provided by the network. They showed that the correlations follow human-like intuitions. For example, as a line segment gets shorter, the network becomes less confident if the segment is due to a track or a shower. This suggests that the low-level correlations being used are the same physically motivated correlations a physicist would use if engineering an algorithm by hand. Demonstrating this simulated-versus-real data milestone is important because convolutional neural networks are valuable to current and future neutrino experiments that will use LArTPCs. This track-shower labeling is currently being employed in upcoming MicroBooNE analyses. Furthermore, for the upcoming Deep Underground Neutrino Experiment (DUNE), convolutional neural networks are showing much promise toward having the performance necessary to achieve DUNE’s physics goals, such as the measurement of CP violation, a possible explanation of the asymmetry in the presence of matter and antimatter in the current universe. The more demonstrations there are that these algorithms work on real LArTPC data, the more confidence the community can have that convolutional neural networks will help us learn about the properties of the neutrino and the fundamental laws of nature once DUNE begins to take data. The new results are of great importance for the groundbreaking measurements to be performed by neutrino experiments with liquid-argon TPCs. 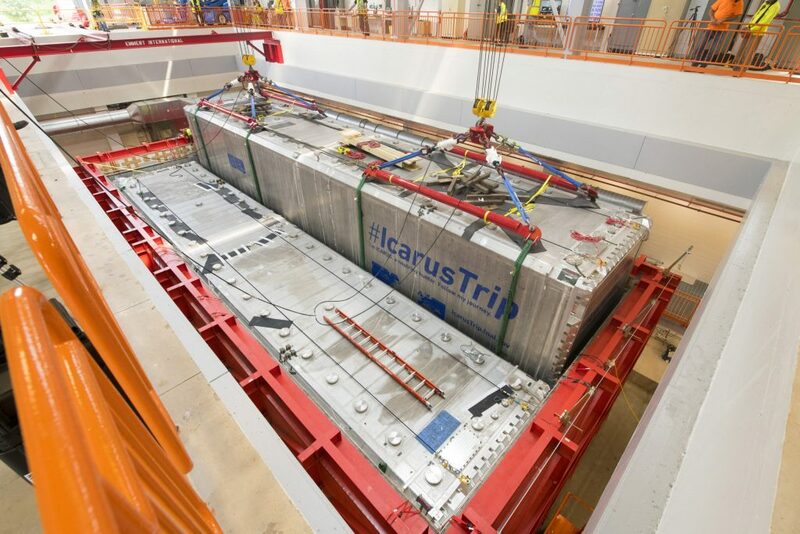 This includes the search for a fourth type of neutrino with the Short-Baseline Neutrino program at Fermilab, which comprises three neutrino detectors: the ICARUS detector, built by Italy’s INFN, refurbished at CERN, and then shipped to Fermilab in 2017; the new Short Baseline Near Detector; and MicroBooNE. The measurements are also important for the international Deep Underground Neutrino Experiment hosted by Fermilab, which will use both neutrino and antineutrino collisions with argon to search for differences between neutrino and antineutrino interactions, with the goal of understanding what role neutrinos played in the evolution of the universe. Cosmic rays are a constant rain of particles that are created in our sun or faraway stars and travel through space to our planet. They’re subjects of many important physics studies, but for MicroBooNE’s research, they simply get in the way. That’s because MicroBooNE scientists are looking for something else — abundant, subtle particles called neutrinos. Unlocking the secrets neutrinos hold could help us understand the evolution of our universe, but they’re exceedingly difficult to measure. Fleeting neutrinos are rarely captured, even as they sail through detectors built for that purpose. 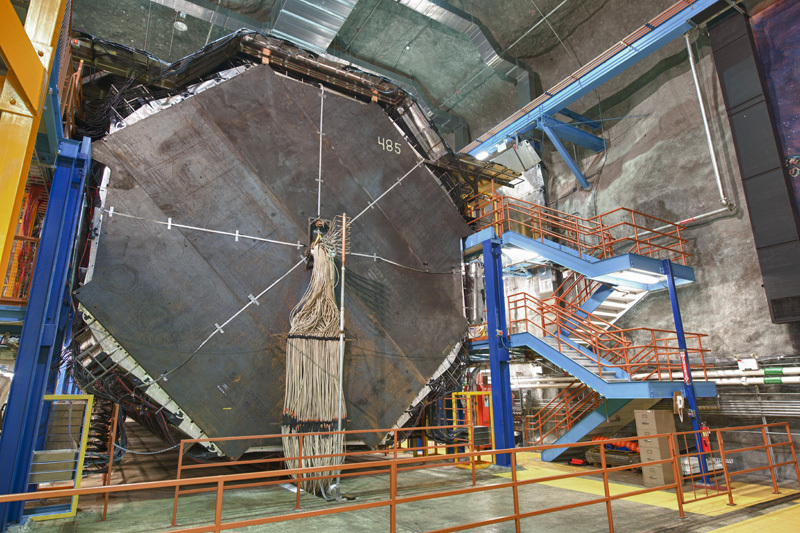 Add to that the fact that their interactions are potentially drowned in a sea of cosmic rays rushing through the same detector, and you get a sense of the formidable challenge that neutrinos represent. The MicroBooNE experiment starts with Fermilab’s powerful accelerators, which create neutrino beams that are then propelled through the MicroBooNE detector. 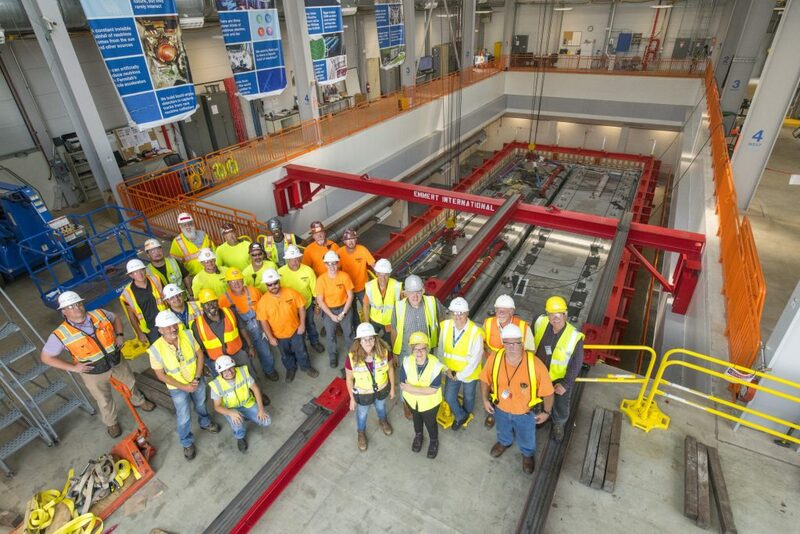 Fermilab is currently upgrading its accelerator complex to deliver high-intensity neutrino beams and to provide beams for a broad range of new and existing experiments, including the Long-Baseline Neutrino Experiment, Muon g-2 and Mu2e. 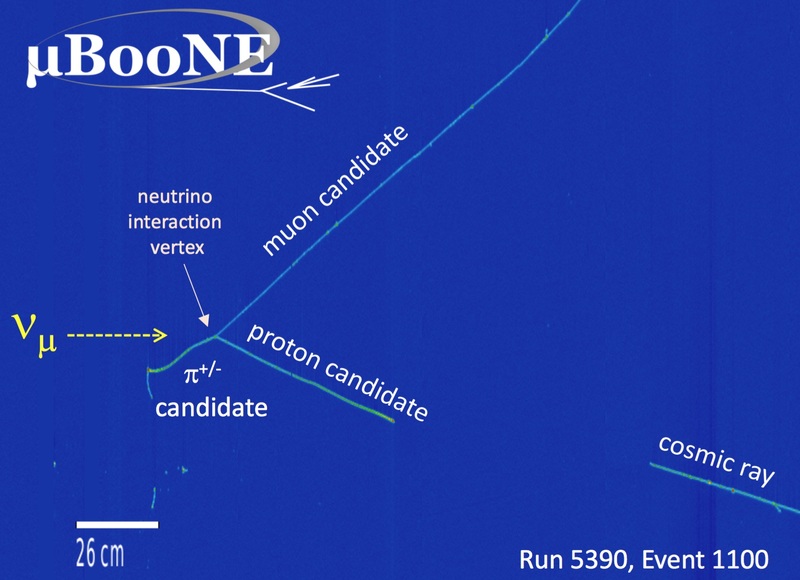 Since cosmic rays are made of some of the same particles produced when a neutrino interacts with matter, they leave signals in the MicroBooNE detector that are often similar to the sought-after neutrino signals. Scientists need to be able to sort the cosmic rays in the MicroBooNE data from the neutrino signals. Even several feet of concrete enclosure would not completely block cosmic rays from hitting a detector such as MicroBooNE, not to mention that such a structure would be inconvenient and expensive. Instead, MicroBooNE uses the aforementioned panels, called a cosmic ray tagger, or CRT. While the panels don’t block cosmic rays, they do detect them. Each CRT panel has particle-detecting components – strips of scintillator – that lie beneath its shiny aluminum enclosure. Cosmic ray particles can easily pass through aluminum and the scintillator — a clear, plastic-like material — on their way toward the MicroBooNE detector. The cosmic ray particles deposit energy in the plastic scintillator, which then emits light. An optical fiber buried inside the scintillator captures the emitted light and transmits it to devices that generate the digital information that tells scientists where and when the cosmic ray struck. So why the shiny aluminum shell? It blocks unwanted light from the detector’s immediate surroundings so that only light created by cosmic rays inside a CRT panel reaches the optical fiber and is detected. The 49 rectangular CRT panels are the contribution of the University of Bern in Switzerland, one of the 28 institutions collaborating on MicroBooNE worldwide. They produced the panels last winter and shipped them to Fermilab during the spring. 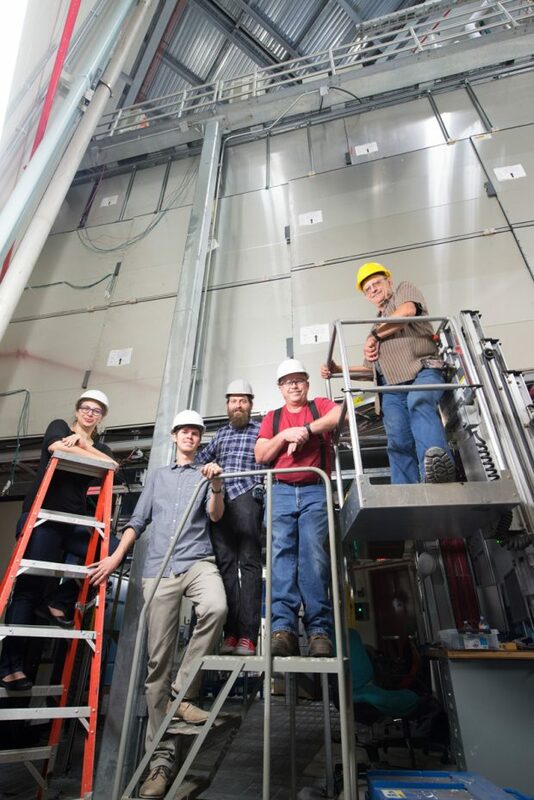 The installation team overcame a number of challenges —including the tight space in which MicroBooNE stands — to successfully place the panels around the detector. Later this year the group will complete the installation by placing the final layer on top of the MicroBooNE detector. Even without it, the CRT already greatly enhances the capabilities of the experiment. 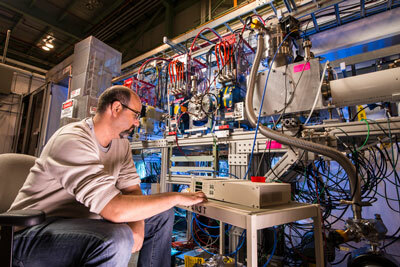 “We started taking data just in time for the first neutrinos delivered to the experiment,” Gramellini said.